Nothing can go wrong this morning. A) Here in New Zealand it's Friday, which means the working week has only a few hours of sand left to slip through the hourglass, and B) Yildiray Cinar, the artist I've been tracking since I first saw his work on DeviantArt has landed the gig of a lifetime, drawing the Legion of Super-Heroes alongside returning definitive Legion author, Paul Levitz. 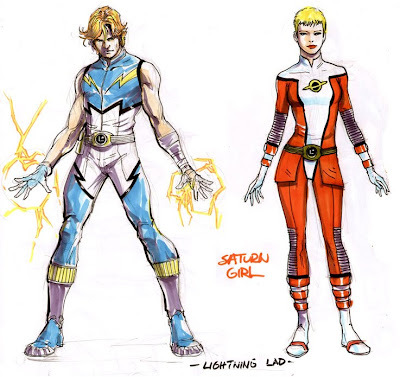 The pairs all new series; LEGION OF SUPER-HEROES #1, launching in May, will explore the far-flung future, with all the epic scale and imagination of a franchise that doesn't have as the continuity strings restraining its stories, as those tied into the 'present day' DCU - but has the entire cosmos as it's backdrop.